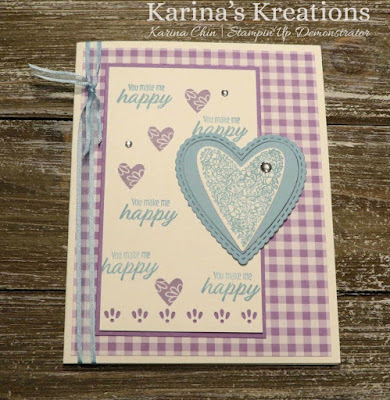 Karina's Kreations: Stampin'Up Meant to be Card! 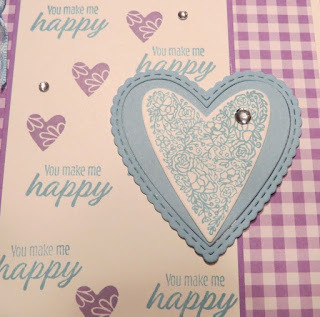 Stampin'Up Meant to be Card! Stampin'Up has a new bundle available Jan 3. It called Meant to be and the set is amazing. I love how the stamp set and framelits coordinate. 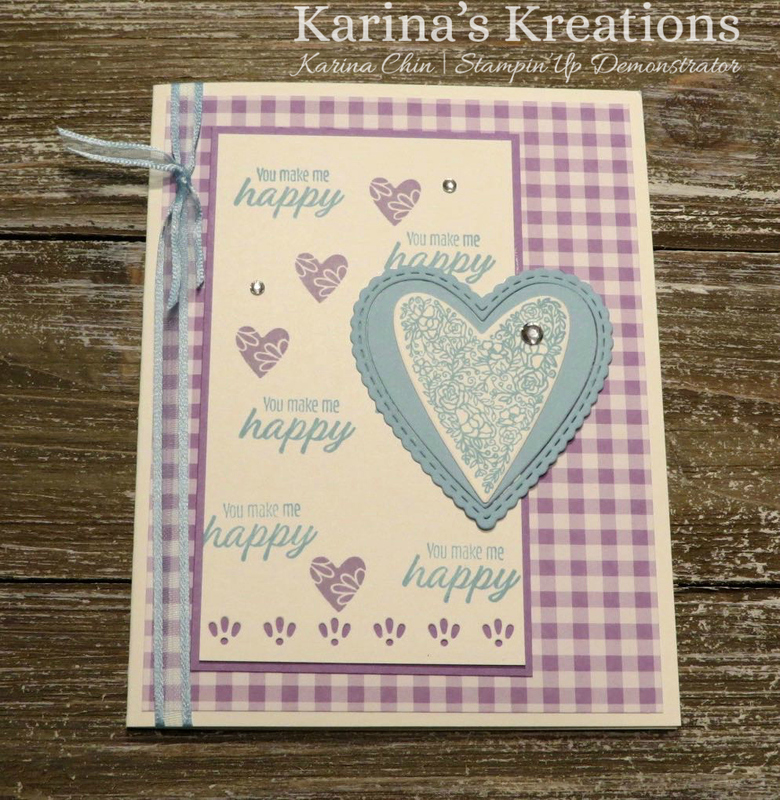 I made this cute card with the set and added Gingham Gala 6x6" Designer Series Paper. The ribbon is Free with a $60.00 purchase. Buy the bundle and the ribbon will be free. If you live in Canada, I can help you with your order. To place an online order just click on a picture below. Here's the supplies you will need to make this card.